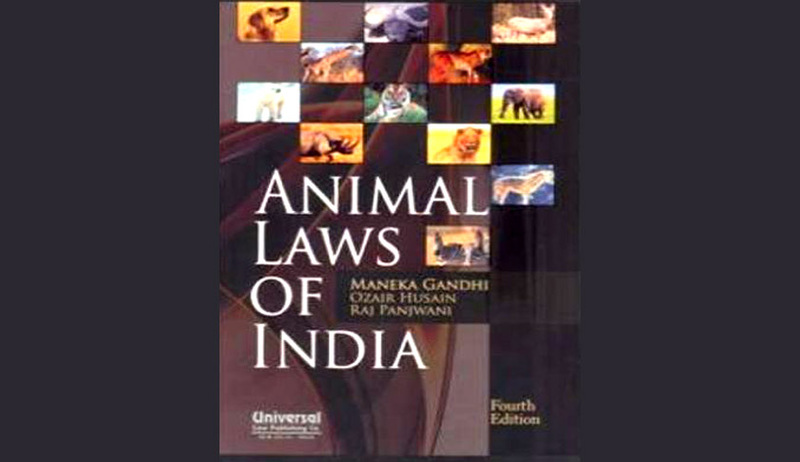 In a letter to Bar Council of India Chairman Manan Kumar Mishra, Union Law Minister Sadananda Gowda has recommended to books written by his cabinet colleague Maneka Gandhi on animal rights in the curriculum of law schools and colleges. Mr. Gowda was reportedly reacting to letters from Gandhi, highlighting lack of awareness about animal welfare laws. Describing the recommendation of a particular book as “unethical”, as said that animal welfare laws are already covered in law schools under the environment head. “There are many good books by lawyers, judges etc. Ethically recommending one particular book should not be done, I have never seen anybody recommending anybody’s book. Besides law universities are autonomous institutions where we already teach Wildlife Protection Act etc under the environment section. Bar council does lay down compulsory and non compulsory courses but nothing can be imposed on the 1400-odd law schools,” he told Indian Express. Mr. Gowda has also written to the Chief Justices of High Courts and Chief Ministers, urging them to conduct annual workshops for Judges and Public Prosecutors aid in the adjudication of cases of cruelty to animals. He reasoned that this was necessary, “since no law college takes up animal laws as a subject”. The Animal Welfare Board of India, a statutory body formed under the Prevention of Cruelty to Animals Act (PCA) 1960, has already course materials and master trainers for the Bureau of Police Research and Development and the Ministry of Home Affairs. Animal welfare laws are now mandatory at all police training colleges.